One of the younger rising star groups on the folk scene, Granny’s Attic have been stunning audiences with their skilled singing and playing over the last few years. Inspired by the old traditional songs and tunes (thus the name), the trio started playing together at school in Worcester, from whence all three of them went on to study music at degree level, although not the usual ‘folk’ degree at Newcastle. 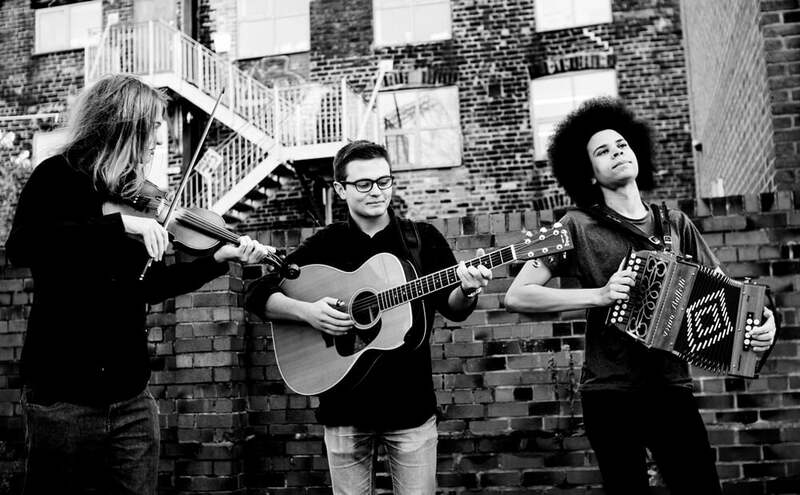 In 2014 the group were nominated in the BBC’s Young Folk Award, and since then have been in huge demand at festivals and clubs all over the country in between studying. Cohen Braithwaite-Kilcoyne plays the melodeon, concertina as well as singing. George Sansome also sings and plays the guitar, and Lewis Wood provides fiddle and mandolin and writes many of the tunes the group play. In his other life, he is a composer, and also plays for dancing. Folky foursome singing twisted tales of love, murder and sea-faring treachery.